You have your list in hand, your reusable bags in the car (you finally remembered! ), and a pre-budgeted amount to spend. But as you’re checking out, the dollar signs keep on coming. By the time you’re done, you’ve paid $30 more than you budgeted. Don’t worry. There’s probably an easy fix! Look back at your receipt and scan for non-food items. Did you buy shampoo? Toothpaste? What about dishwasher tabs? An impulse magazine at checkout? These shouldn’t be coming out of your food budget in the first place. That’s great, you say, but you can’t go back in time and separate your items at the check-out with those handy divider sticks! You’re right. But you can do something much easier: split your transactions in EveryDollar. 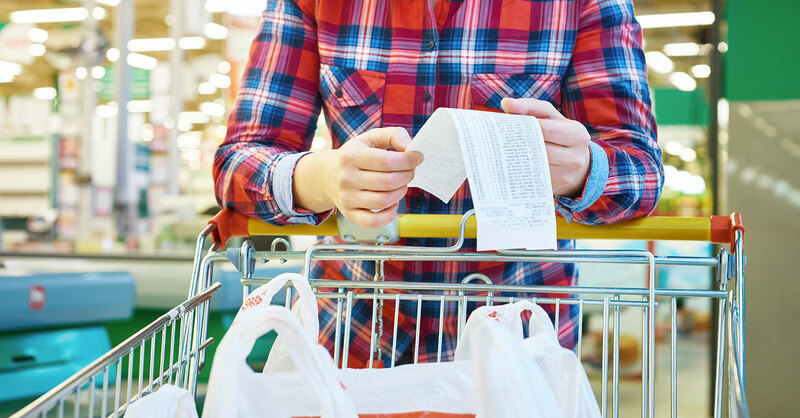 Simply make a habit of revisiting your grocery receipts and putting everything in its proper place. That way, you have an accurate picture of how much you actually spent on groceries. Here’s what we mean: Drop that $12 you spent on shampoo and toothpaste into the toiletries budget. Move the $14 you spend on dishwasher tabs into the household budget. And place that $4 magazine in your fun-money budget. In a matter of a minute or so, you’ve got $30 back in your food budget! That’s way less time than it would take to divide up your items and pay for them separately. Imagine the glares you’d get from the people in line behind you. Yikes. Try the dollar store. The dollar store is a great place to get household stuff. Think soap, dental floss, birthday cards and hairbands. Keep an ongoing list of what you need throughout the month and hit up the dollar store once or twice. You’ll still need to split your transactions, but at least they’ll be way cheaper! Make your own. You can make affordable cleaners with items you already have on hand, like baking soda and lemons. Some vinegar, Dawn dish soap, and water in a spray bottle will keep your shower sparkly clean. Buy in bulk. Another great money-saving idea is to buy in bulk from Costco or Amazon. Consider purchasing your paper towels, paper plates and toilet paper in one big shopping trip (or online order). The more you can buy at a time, the less you generally pay. Your budget should put you in control of your spending. So if your grocery bill is higher than you’d like, try splitting your transactions or even buying non-food items elsewhere. When your budget works better, your life gets easier. And that’s a win in our book! 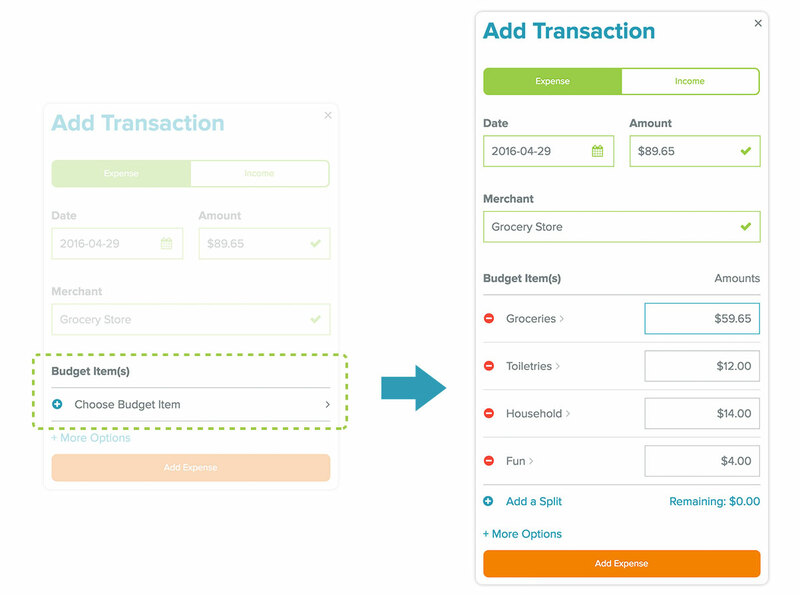 You can create a food budget and split transactions (all FREE!) with an EveryDollar budget. Try it with one of your most recent receipts. And if you haven’t created a budget yet, it takes less than 10 minutes to set up!